There are two makeup products which i carry everywhere and guess what ? .. Yes, It is my lipstick and kajal. I love applying kajal on regular basis ,but i prefer to apply kajal as eyeliner ( on my upper lash line) because of my dark circles under the eyes.. Whenever i apply kajal on lower lash line, it enhances the darkness under my eyes.. But with full face makeup I apply on lower lash line too after concealing under eyes properly . 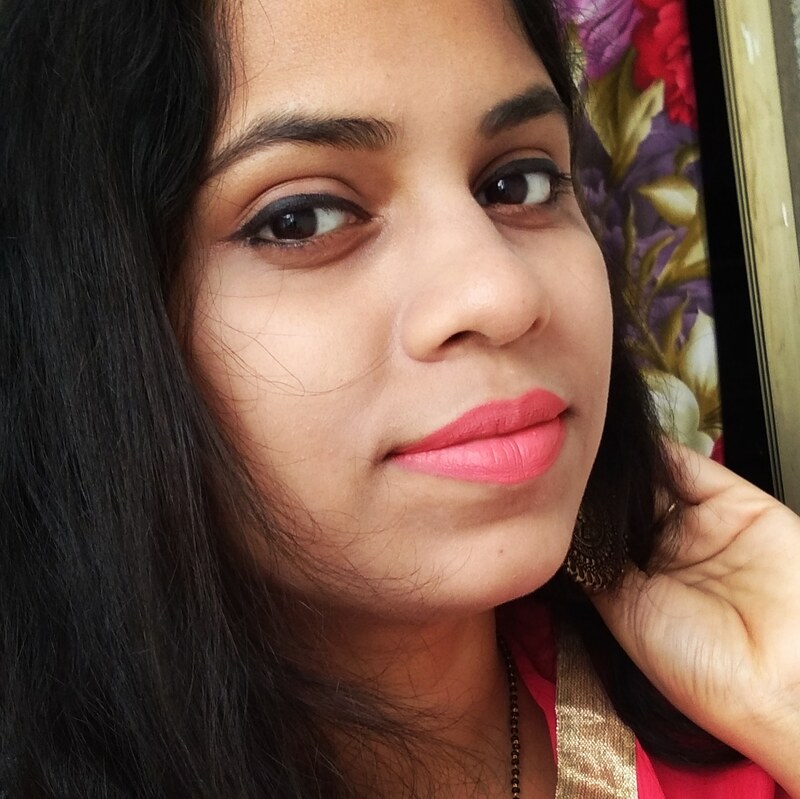 Few days before while browsing online for kajal ,found this Plum Nature Studio All-Day-Wear Kohl Kajal on Nykaa .. I have read some awesome reviews about this earlier ,hence immediately added to my cart . Now I am applying this quite few of times and ready to share my experience with you all. 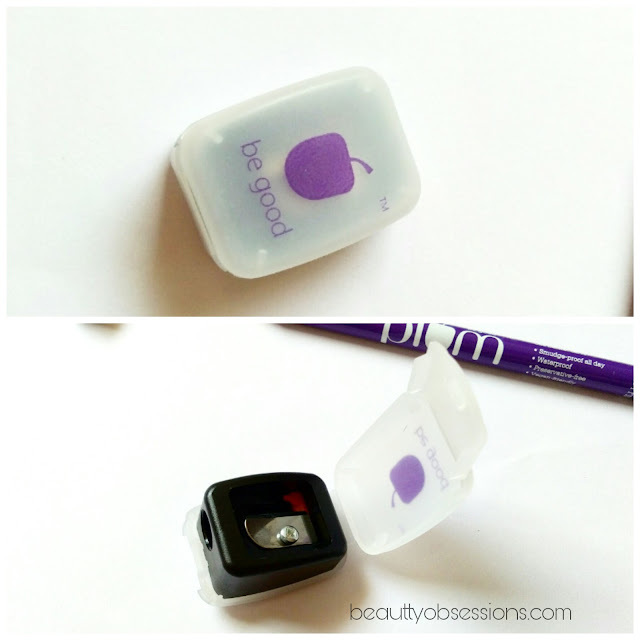 Being Good is religion at Plum. PRICE - Rs 425/- for 1.2gm. 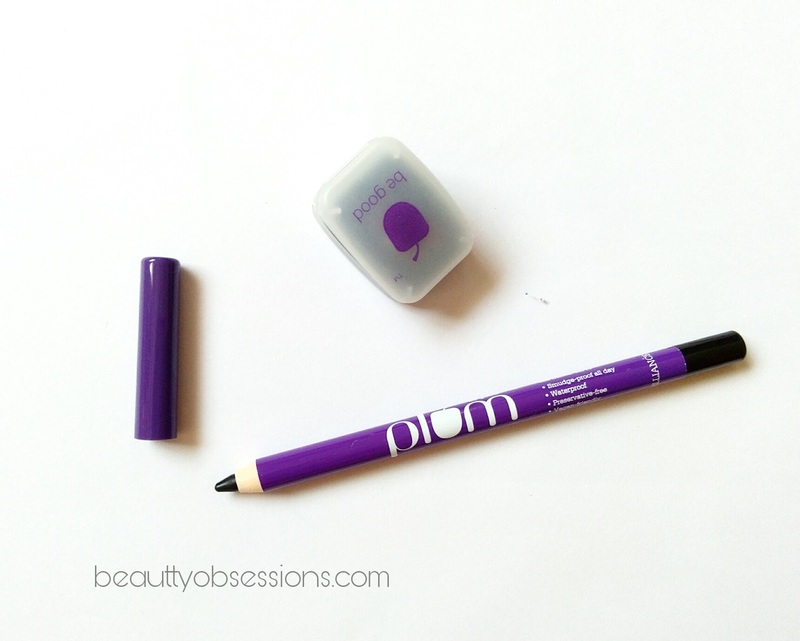 The Plum nature studio kajal comes in pencil form with a cap.. The packaging is purple in colour which looks so girly. There is also a cute looking sharpener along with the pencil .. There is few information regarding the product on the pencil .. There is no outer cover provided with the kajal .. In-fact the kajal comes inside a plastic wrapper kind thing. it is travel-friendly. It is a dark jet black colour kohl. 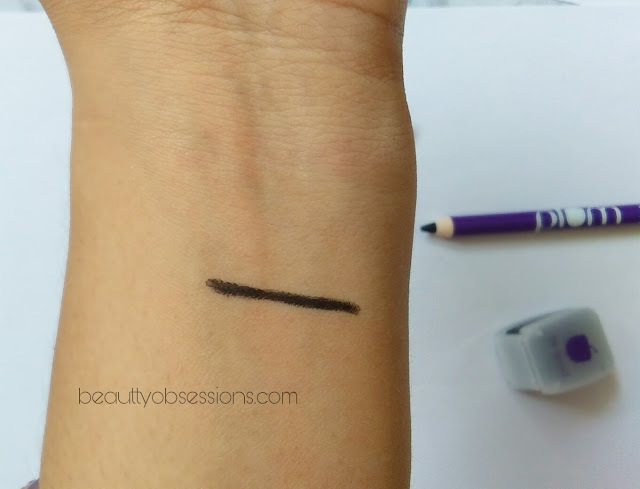 There is no shine and it is a complete matte finish kajal. The texture is so creamy and soft. One should be really careful while applying . A little pressure can cause breakage. I have already experienced that.. While swatching on my hands i broke down the tip completely which is really heart-breaking. Due to the creamy texture ,it glides on my lids so smoothly without any extra effort .There is no tugging and pulling while applying.. 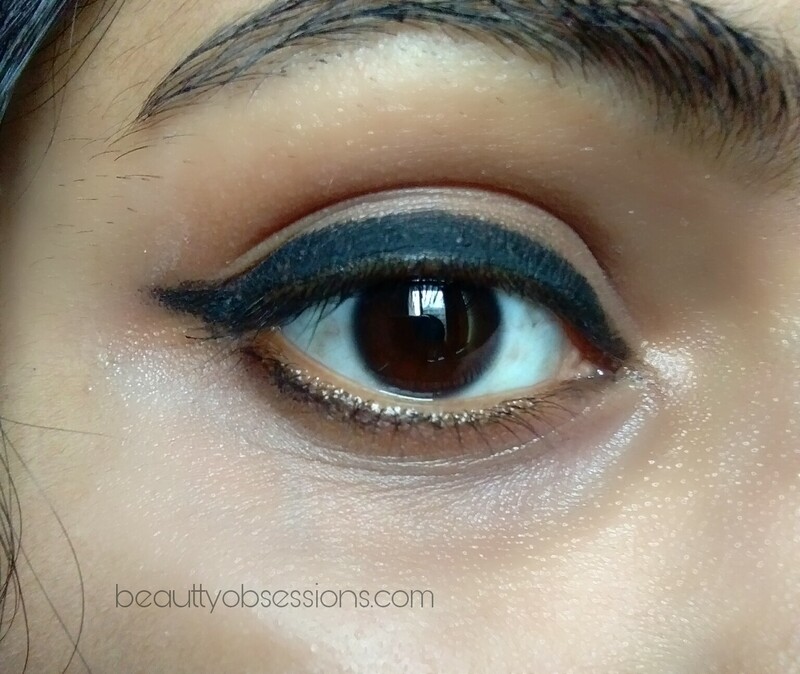 I have applied this as a liner and kajal both and this is just perfect for both the jobs. 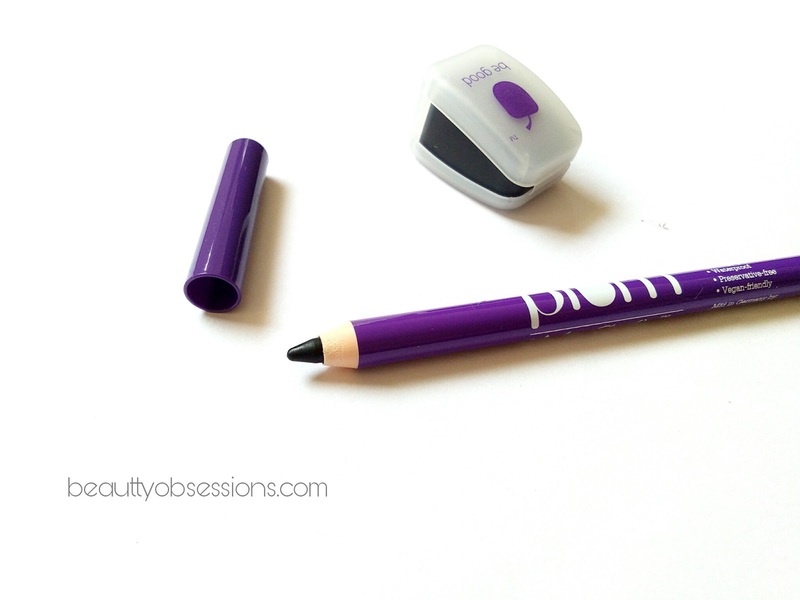 The Plum kajal is super pigmented. It gives a nice jet black colour in just one swipe itself . The kajal is also long lasting . It stays around 8-9 hours on my lids and after that i removed with a makeup remover. it is waterproof ,hence no need to worry if you have watery eyes or oily eyelids. It is going to stay long period of times. The kajal is smudge proof as well .. I am super impressed with the Plum kohl kajal .. and just have a look at the claims ,it is one of the best kajals i have applied so far..The only concern is , you have to sharpen it very frequently as the tip becomes blunt with few uses only. If you are searching for a good quality ,long lasting, matte black finish kohl ,then the search might end here.. 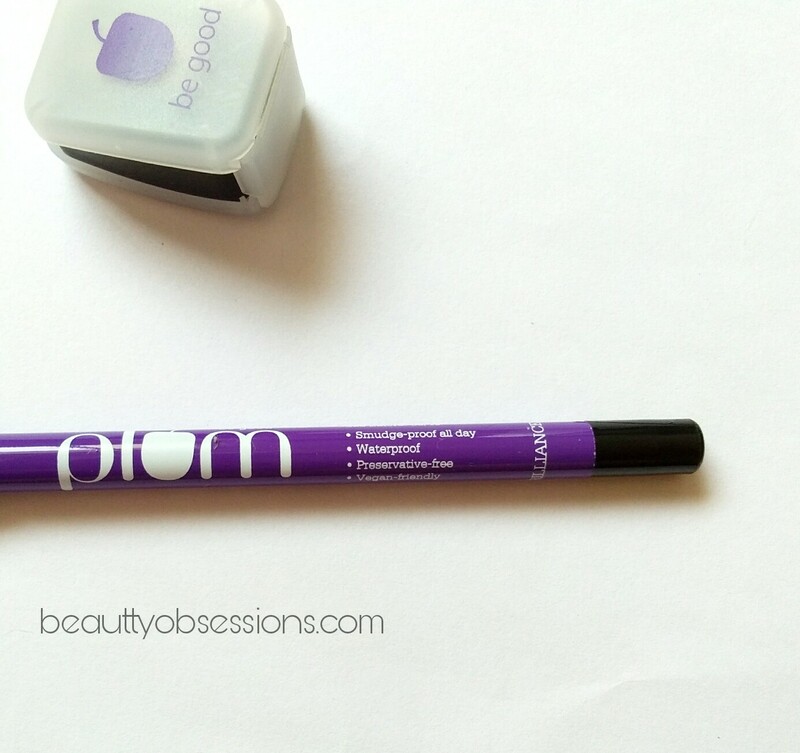 The Plum nature studio all-day-wear kohl kajal is a great option to try out..
Hope you found this review helpful... See you in the next post..
No kajal lasts on me all day long. But this one definitely looks creamy and a deep black shade. Kohl is one such makeup product which can enhance your looks right away. This product would be good for office goers as it lasts for 8-9 hours. I have never tried anything beyond black or grey for my eyes. This shade looks super lovely. I am tempted to try this out now. The review is perfect. After reading this I guess I will buy this kajal for sure. Aw! I just love this Kajal, super creamy, glides on smoothly and feels like gel based Kohl. This Kajal is love. This Kajal is love. It is creamy, glides on smoothly and feels like gel kohl in pencil form. 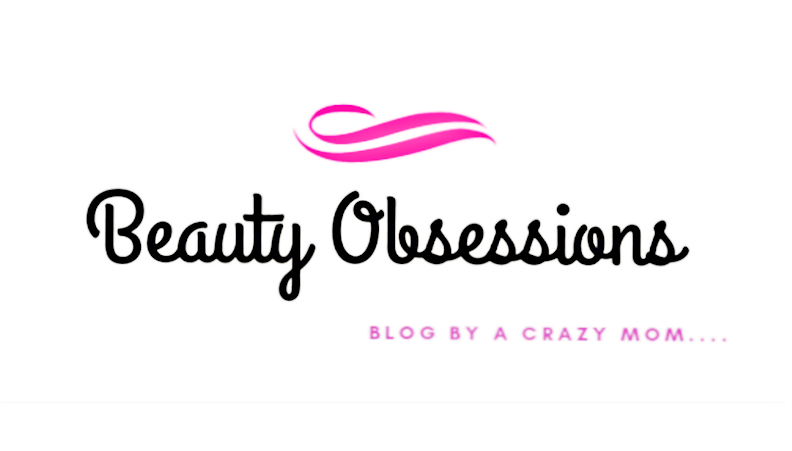 I am a die hard fan of kajal and in lookout of something that wont sumdge or something that will make my eyes look big and defined. 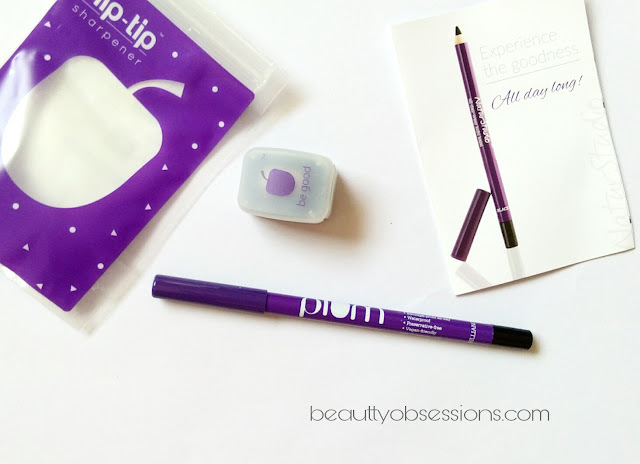 I liked the overall packaging of Plum Kajal however, costs is a concern since I apply Kajal every days twice at least and I will be broke if I use this one at my current rate. Also as mentioned by you the tip is soft which leads to breakage. 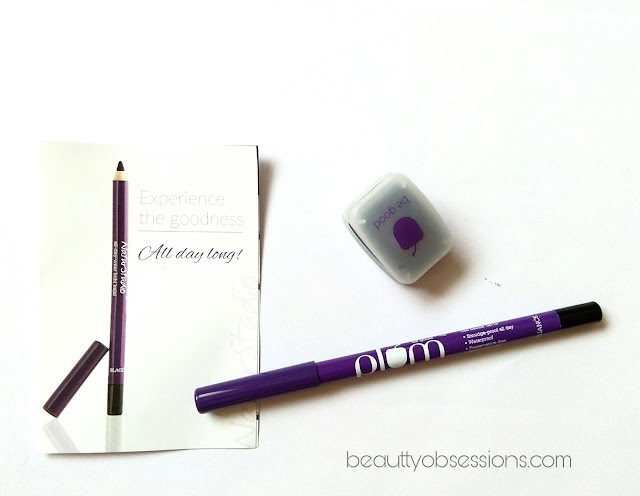 In that case I think it is little dicey if I would like to use this one since it does take little pressure to apply kajal properly. i love the review - i love the fact that one single stroke is so sharp!! Lovely product. It is a dark black colour kohl and it has all qualities ... Just wow ! To be honest I heard about it lot and found good rating ... For sure must try product.